The sun’s out, so that means the kids are out…out of school that is. There are many different free events happening around Albuquerque and surrounding areas to keep your kids entertained over summer break. Read more about Suns out… Kids out! It is common for women to complain of neck, lower back, and/or pelvic pain during their pregnancy. However, that does not mean that it is normal. There are things you can do now to prevent or decrease these pains. Paying attention to posture and moving the right way will help ease your discomfort and allow you to better enjoy this exciting time. A stroke can happen to anyone at any age. According to the American Stroke Association, someone in the United Sates has a stroke every 40 seconds. So how do strokes strike? Strokes occur when there is bleeding in the brain or when there is a blockage resulting in blood and oxygen not flowing to the brain. A stroke limits the oxygen supply to the brain and can lead to serious brain damage. Read more about How Do Strokes Strike? 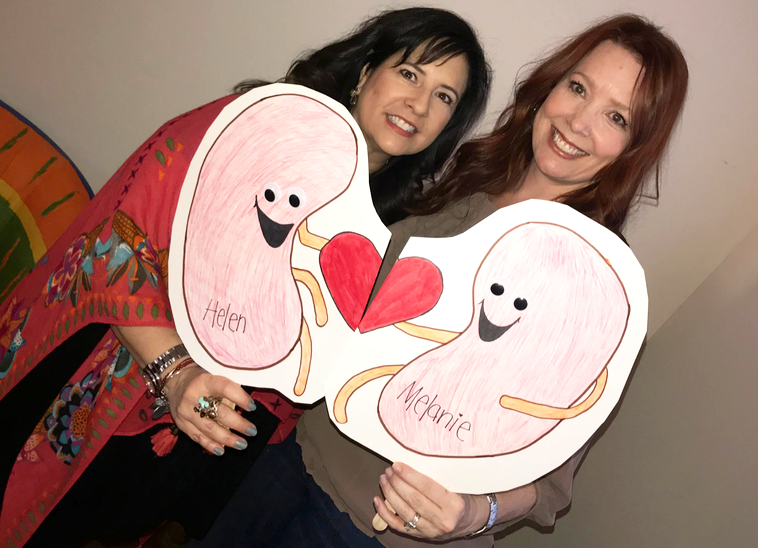 Growing up, Helen Nielsen always knew there was a possibility that she would have polycystic kidney disease. Every family has their own path to building their family. For some this is through pregnancy, for others, this is through adoption. Either of these paths may be an option in families where infertility is a factor. Our children are precious and it’s up to us to make sure they are safe and shielded from violence. Since 1983, April has been designated Child Abuse Prevention Month. Each day, more than five children die as a result of abuse or neglect. There is an average of 3.3 million reports of child abuse annually. Working together as a community, we can protect children and keep them safe from abuse. Cryoablation is a technique used to destroy fibroadenomas, the most common type of lump found in young women’s breasts. It is a minimally invasive procedure using extreme cold temperatures to destroy the mass. Stomach discomfort can strike at any time and can alter your everyday routine in your home and work life. Constipation, heart burn and several trips to the bathroom during the day can attest to that. It’s important to stay on tract, digestive tract that is. Your digestive tract, also referred to as your digestive system, plays an important role in your body. A series of major organs are simultaneously working together to break down the food you consume, absorb and move necessary nutrients throughout the body and then eliminate waste. Do you want to learn more about nutrition? Are you interested in changing your eating habits and managing your weight in a healthy way?